Obtaining a Permanent Resident Card or green card, is a privilege. It is proof that a person has lawfully obtained a permanent residence visa allowing them to live, work, and study permanently in the United States. The term “green card” originally took its name from a green photo identity card that was first issued to non-U.S. citizens shortly after WWII. It is now officially referred to by the U.S. Citizenship and Immigration Services (USCIS) as the Permanent Resident Card. When first introduced by the Alien Registration Act of 1940, which required the registration of foreign nationals, the card was green in color and stayed that way until 1964. There were many new versions and various colors issued since, mostly to overcome the possibility of counterfeiting, but the nickname continued to exist during those decades of blue, pink and yellow “green cards.” In 2010 the card became green again and so, over 70 years later, the term “green card” continues to live on! A common misunderstanding is that a green card affects a person’s current citizenship. That is not the case. It is possible to have citizenship documents of another country and to hold a green card in the U.S. as well. As a green card holder, one has the right to petition for certain close family members to also receive green cards. The green card gives the holder the right to travel and return to the U.S. freely, just as any other U.S. citizen. However, green card holders do not have all the same privileges and rights as U.S. citizens do. Green card holders cannot vote in U.S. elections and they cannot remain outside of the U.S. for unlimited amounts of time or make their home elsewhere. While green card holders pay taxes and are eligible to receive education, health, retirement, social security and other social benefits, they are not always eligible for all of the same government assistance that is available to U.S. citizens. Some federal programs impose a five-year waiting period for green card holders to start receiving benefits. Another big difference between a Permanent Resident Status and U.S. citizen, is that while American citizens cannot be deported, it is possible for green card holders to lose residency rights. Instances of that occurring include if the card holder fails to inform USCIS of changes in their address, or commits a crime, or an act of terrorism. A prevalent myth about green cards is that they are easy to get. The truth is that they are difficult to obtain, and USCIS only issues a limited number every year. U.S. immigration laws provide a variety of ways for people to apply for a green card, but there are many checks and balances in place to ensure that green cards are only issued to those who deserve them. Eligibility requirements vary depending on the immigrant category one is applying under. The most common method to obtain a permanent visa is to marry an American citizen. The second most common way is to receive a green card through employment if it is proven that the employee has a skill that is in high demand. Still, there are no guarantees for automatic eligibility based on marriage or employment, and there are many detailed requirements and processes for application and acceptance. Other ways to obtain a green card or Permanent Resident Card are through the Diversity Immigration Visa program, Family Sponsorship, Refugee or Asylum Status, Human Trafficking or Crime Victim Status, Victims of Abuse, and other Special Categories. All requirements and processes are stringent, and a top priority for USCIS is to be diligent about the detection of willful misrepresentation. In addition, to help prevent fraud, the card itself now features high-resolution micro-images, holographic images, laser engraved fingerprints, and radio frequency identification (RFID), which are all new security technologies. Increasingly, with regard to green card applications, more paperwork is necessary, wait times are growing, and there are new requirements for an in-person interview with USCIS. Keep in mind, with some exceptions, the cards expire after 10 years and must be renewed, except for those issued from 1977 to 1989, which never expire. 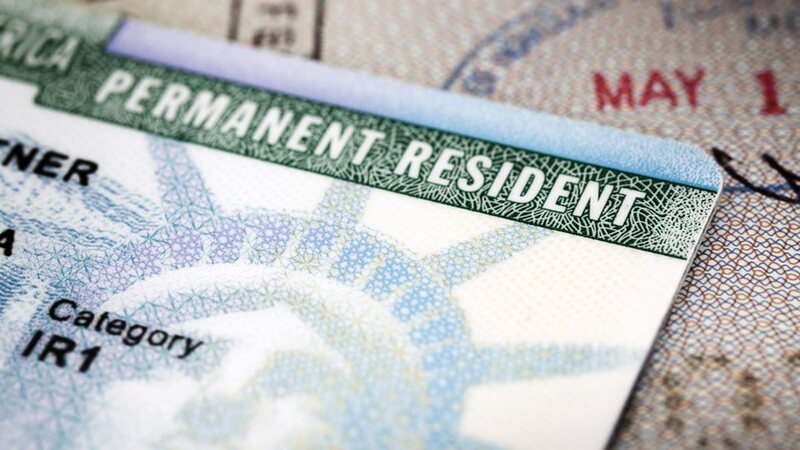 Conditional permanent residents must renew their green cards after two years. Green card renewals are diligently scrutinized and errors or mistakes when completing paperwork could result in issues and delays. If you need advice about obtaining a green card, as well as information about the categories you may be eligible to apply under, consider using the services of FES Immigration Law to help insure that your application is correct and complete. We can also help with your renewal application or, if your green card renewal is denied, we may be able to assist with your request for USCIS to reexamine or reconsider its decision. We are here to listen and understand your objectives, and with our vast experience in green card applications and renewals, can help guide you through the process. Call us today at (813) 530-5992.